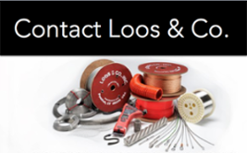 Careers - Loos & Co., Inc.
We are looking for Operators with the right combination of mechanical aptitude, manufacturing and/or educational experience, and can-do attitude to join our company. Operators set up machines, monitors machine operations, checks and ensures quality and processes documentation which includes computer data entry. Experience with micrometers, calipers and/or other types of gauges helpful. We do train. Interested individuals should apply in person to complete an application. Salary is commensurate with experience. In addition to competitive salaries, Loos and Company offers a great employee benefit package for its full-time employees. If it sounds like a great place to work, it is! For more information contact our Human Resource Manager, Lynn Bouthillier. Founded in 1958, Loos and Company evolved from a three-car garage business, originally situated behind the home of owner A. W. “Gus” Loos and his wife Joan, to a 220,000 square foot plant located in picturesque Pomfret, Connecticut. 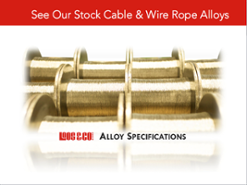 Today, Loos and Company manufactures a wide variety of wire, aircraft cable, and wire rope. 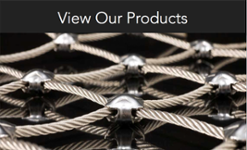 These products are used in aerospace, military, and commercial applications, including - aircraft flight controls, elevators, fitness equipment, rigging, and scaffolding operations. They are OEM producers for companies such as Boeing, General Dynamics, and Bombardier.